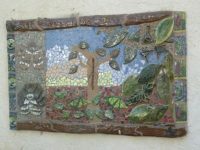 Ideas from parents, children and Arboretum Master Gardeners were incorporated to utilize existing features, enhance others and add new. 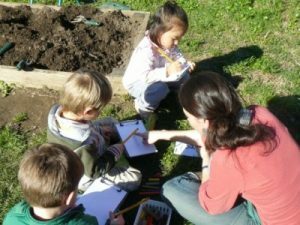 Teaching staff at the Early Childhood Laboratory at UC Davis met with Dimensions Educational Research Foundation Landscape Architect and Early Childhood Educator during a design consultation to help develop a concept plan that utilized their huge outdoor space. This plan was then used to focus efforts on one or two areas during each parent/staff workday with follow-up support from parent volunteers. Each designated area took shape as wooden signs, perennial shrub border plantings and large boulders were added. New plantings were chosen from the UC Davis campus list of 100 “Arboretum All-Starts”. California native plants, especially suited to the area, require minimal water and maintenance. The campus Facilities and Grounds departments will help care for special areas and plantings. Natural surfaces of grass, sand, and wood chips, along with the tree canopy and attractive green fence, that visually disappears; all combine to create a feeling of expansiveness. 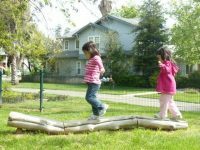 The curving, plant-defined borders of the areas soften any “playground look”. Most built structures, such as stages, tree stump seating, balance beam and storage cupboards, are wooden. This beautiful classroom is fortunate to have a large expanse of healthy green grass year-round as well as dozens of large, mature trees of cork oak, black locust and hackberry to provide shade and interest. Other trees were added to help delineate areas and provide foliage and flower diversity. 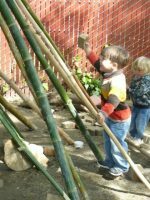 Supplemental clumping bamboo was added along the front fence line and paths through tall grasses along the side fence line. 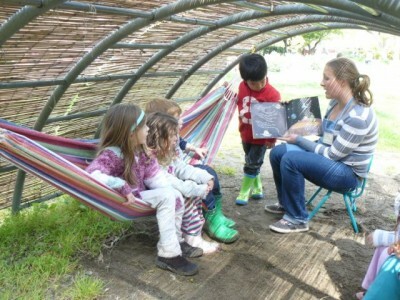 A cozy reading hut was created by covering an existing climbing structure with bamboo and adding hammocks. Practicum student interns are assigned a zone to supervise and facilitate while the Head Teachers float among all areas to help facilitate play and interaction. 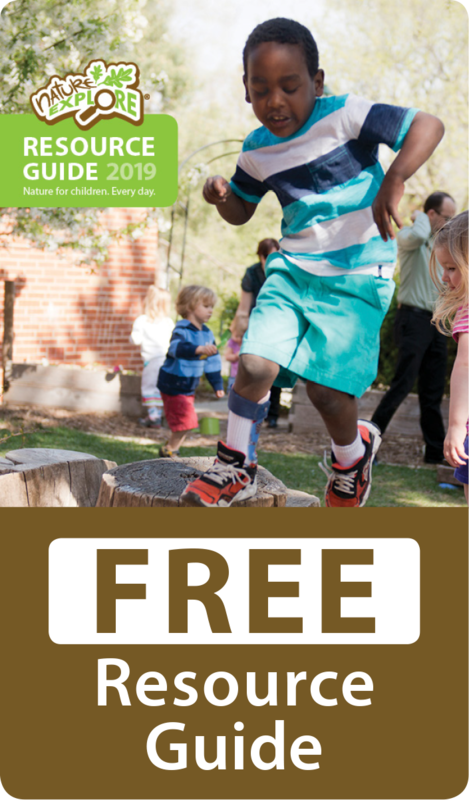 Quarterly newsletter articles help educate parents and faculty on the importance of making learning with nature a part of children’s daily lives while weekly e-newsletters inform about program activities occurring in the outdoor classroom. In June, families attended a potluck dinner open house celebration. In addition, recent tours of the classroom have impressed visitors, helping to spark future support and donations.